Jonathan Daniels was born in Keene, New Hampshire, on March 20, 1939. 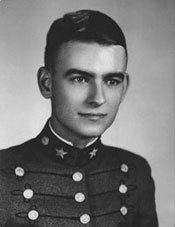 After graduating from the Virginia Military Institute and Harvard University, Daniels entered the Episcopal Theological School in Cambridge, Massachusetts as a seminarian. During his middling year while at prayer, Jonathan decided to answer Martin Luther King, Jr.'s national call to men of good will to come and be in solidarity with their Black sisters and brothers in Selma, Alabama. Deeply disturbed by the beatings of Black and White marchers (on a day that came to be called Bloody Sunday) on the Edmund Pettus Bridge, Jonathan went to Selma. He attended the "Selma to Montgomery March" and remained in Selma to work on a variety issues such as voters' registration, economic justice, racism, and spiritual and religious bigotry. While in Selma, he worked with the Student Nonviolent Coordinating Committee in Lowndes County. On August 20, 1965, Daniels was released from jail in Haynesville with SNCC workers and local Black youth workers. Along with Ruby Sales, Joyce Bailey (a local youth), and Father Richard Morrisroe, Jonathan attempted to buy sodas at a local store when Tom Coleman, a white vigilante, gunned him down. He was killed as he pushed Ruby Sales out of the line of fire. Coleman also shot Richard Morrisroe who survived. Six weeks after the shooting, an all-white jury found Coleman not guilty of murder.